1921 built for Northern Steam Ship Company. 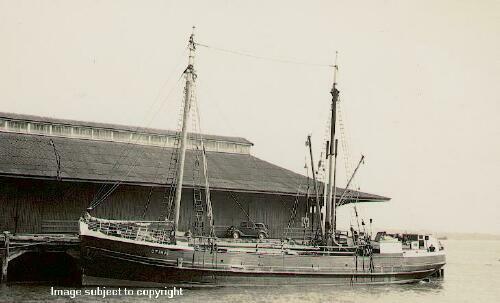 1952 in use as a barge to unload MOLDOVA in Auckland (See Shoestring Shipping Line, Page 108). 1958 hull sold to McKendrick Industries Limited, Auckland and broke up. Hull beached on Moturekareka Island in the Hauraki Gulf, inside the REWA.